Hey guys! I’m always getting questions about what to eat around a workout and I’ve shared some blog posts on workout nutrition but today I’m talking…cookies. Yep, I used the words workout, nutrition, and cookie in 1 sentence because #balance. Before we go any further, this is a post-workout cookie and unlike most cookies out there because it’s packed of protein and fiber! This recipe is for a simple cookie that’s packed with plant-based protein, nuts and seeds, and nutrient dense tangy goji berries. Keep reading for what you should be aiming to fuel your body throughout the day and after workouts and why this recipe is a great protein rich snack! Those are probably two words you don’t hear very often! One of my goals on NS is to mix up your idea of healthy foods, because healthy absolutely does not mean boring. You can combine whole foods in tons of cool and different ways, and today’s recipe is a great example. I’m a big fan of a post-workout smoothie with protein powder but I also love taking these cookies with me to the coffee shop, park, in my car, etc. for a quick protein packed snack. Another great thing about these cookies is you can swap out the goji berries for apricots, apples, etc. to switch it up. The above formula is a general combination that’s suitable for most workouts and always remember, the way you fuel your body ALL day long in the greater picture of your diet is key– it’s not about micromanaging your diet. If you have specific goals or are a training athlete, your workout nutrition might look different. You can read up more on workout nutrition in this post. It’s likely that you’re an amateur and not a professional athlete, and your average workout will need fuel in the form of carbs, protein, and fat. These workout cookies are a great example of one way you can fuel your body post-workout without relying on a protein shake. Pecans, sesame seeds, and coconut oil give you a good serving of healthy fats while oats fuel you with energy from carbs. Chickpea flour provides some protein but these really get a boost from added protein powder. Goji berries pack in added vitamins and minerals (they are a superfood after all). Goji berries are considered a “complete” protein since they have all 11 essential amino acids. They also have anywhere from 35-163% DV of Vitamin C, 100% DV of Vitamin B, and 100% DV of iron so you’re really replenishing your body after all that work! If you aren’t sure where to get superfood or whole food ingredients like chickpea flour and goji berries, check out Nuts.com. I’ve been getting superfoods, nuts, and other hard to find ingredients from them and in bulk. 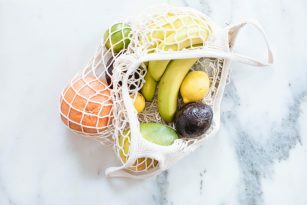 Buying in bulk is a great way to eat healthy on a budget (read more on that here), so take a look at all of the goodies that Nuts.com has and see if you can save a few dollars on your more costly ingredients! Note: What’s more important than pre and post-workout nutrition is your overall intake during the entire day! Making sure we’re supplying our bodies on a daily basis with nourishing whole foods rich in protein, carbohydrates, healthy fats, fiber and nutrients is key – not just singling out two meals per day (i.e. pre/post workout). A simple cookie packed with plant-based protein, healthy fats from nuts and seeds, and extra nutrients from superfood goji berries. Gluten free and post workout friendly. Using a food processor, grind pecans and oats into a flour, being mindful of not blending too much to make pecan butter.Spoon the mixture into a large bowl and add the chickpea flour, protein powder, baking powder, cinnamon, sea salt, and sesame seeds. Beat the eggs separately and add in melted coconut oil and vanilla. Combine into the large bowl of dry ingredients and stir until a sticky dough is formed. Stir in goji berries. Take one tablespoon of the dough in your hand and roll into a ball. Lay on a parchment paper lined cookie sheet and flatten the dough using the palm of your hand. Repeat with all the dough. Bake at 350F for 17-20 minutes or until the cookies are golden brown. Remove the cookies from the oven and allow to cool for 10 minutes before enjoying or store in an airtight glass container in the refrigerator. Do you have a favorite “non-traditional” post workout snack? Have a recipe you swear by after a sweat sesh? Share ’em in the comments, and if you make these for yourself, be sure to tell me what you think in the comments and share on Instagram with #nutritionstripped so I can see! This post was sponsored by Nuts.com, an online retailer of whole foods and superfoods. Thank you for supporting brands that support Nutrition Stripped!